Nasugbu Vacation House - Blinds Manila, Makati, Philippines Call Us at 403-3262! To see more roller blinds projects visit our Roller Blinds Blog Page. This project was completed last December 2012 at Nasugbu, Batangas. This house is a 3 story structure with an infinity pool and over looking Nasugbu Bay. It is a vacation house of the owner where he and his family spends time during holidays. 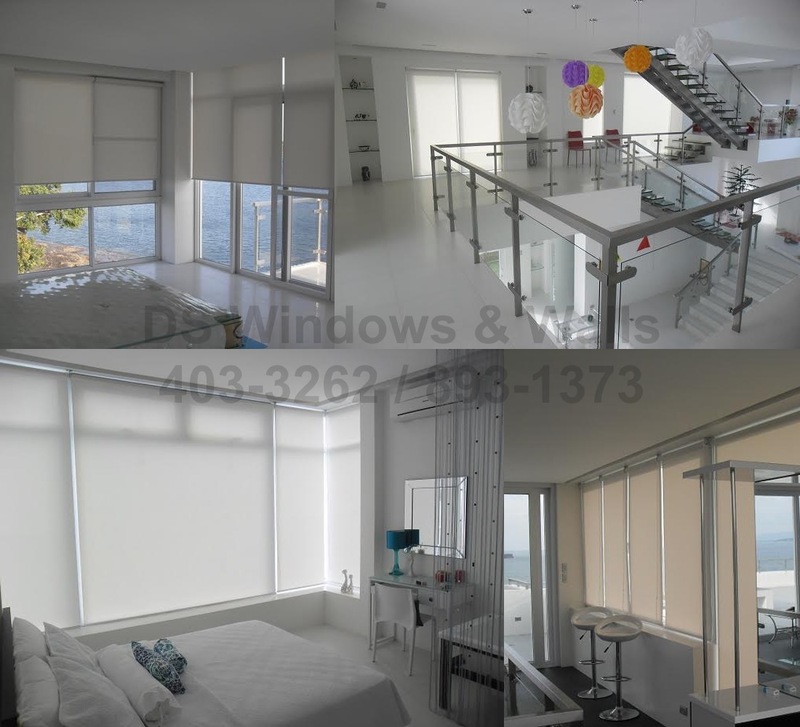 Our client have chosen all-white roller shades with an openness of 1% for better insulation while not totally blocking the sun so that the house will not be too dim when the blinds are all closed. Roller shades comes with different colors, texture, and openness. Operating it is as simple as pulling it up or down using a chain and has minimal moving parts that makes it last for a very long time.